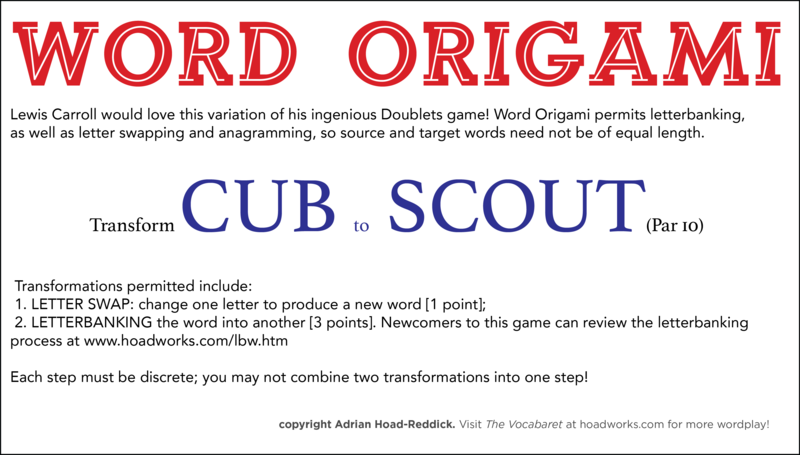 A modern version of Lewis Carroll’s Doublets game. This is an easy edition to give you practice finding a key word for the letter banking transformation. 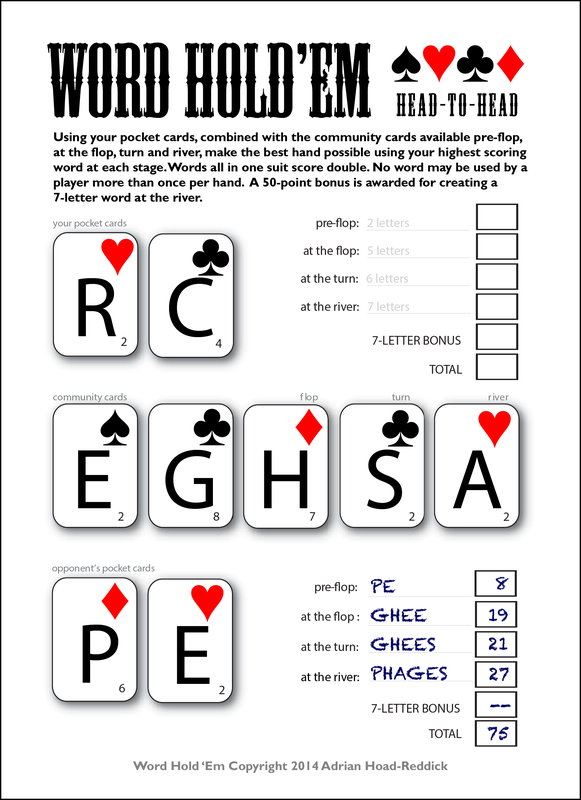 Answer from Last Day: Pre-flop: NO PLAY; Flop: ERG (12); Turn: REGS (14); River: CHARGES (77! ): Total: 103 points.